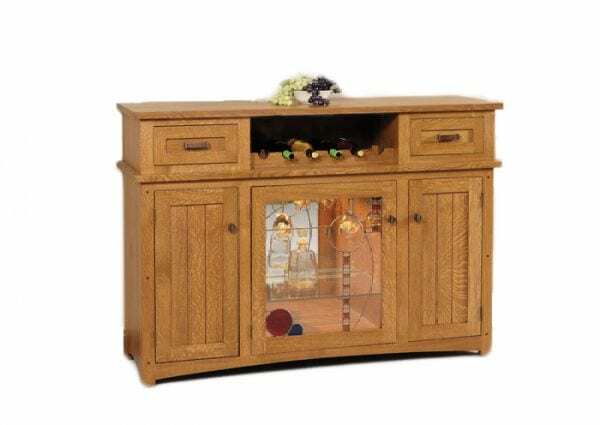 60″ Windsor Ridge Wine Server shown in Quarter Sawn White Oak. Standard Features: Wine rack, center door with leaded glass, mirror back in center door, glass shelves, lights with touch switch, soft close drawer glides. Options: Beveled glass, drawer in wine rack area.